There is a well documented court case relating to the production of clay pipes ( some charlatans were trying to make money for themselves using the good name of the A.O.F.B. ) - they were not sanctioned by Bert Temple or the A.O.F.B. 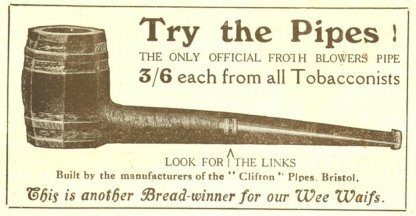 , although there was an officially sanctioned pipe 'the Clifton'.